Frank Body. Coffee based beauty with cheeky marketing and caffeine fueled fun. 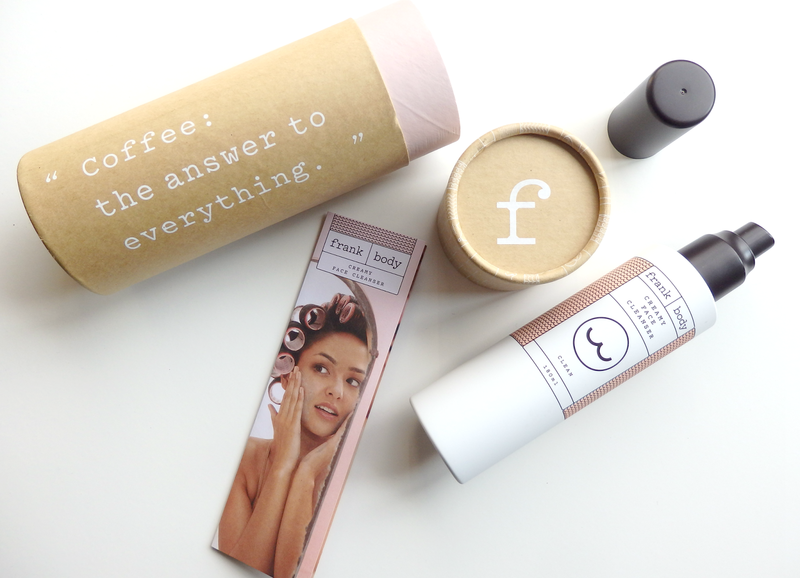 Frank Body is an Australian company that was the coffee brain child of Erika Geraerts, Bree Johnson and Jess Hatzis along with co-founders Steve Rowley and Alex Boffa. 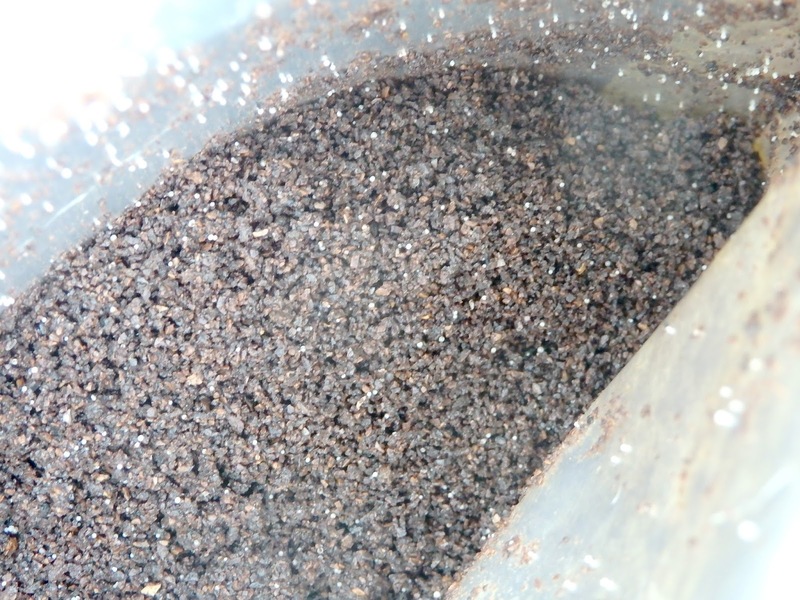 From what I can understand the idea originated from a customer coming into a coffee shop one of the founders was linked to and asked for the used coffee grinds to scrub themselves with. Frank himself does not actually exist but seems to be a cheeky piece of each founder into one babe loving brand header. I can't even remember where I first saw Frank Body but let me tell you now. It's love. As you can see I have the coconut scrub and the creamy face wash (there might also be an order of the daily facial moisturizer on it's way to me as we speak). The icon and the jewel in the Frank Body crown. This is what built the brand. I opted for the coconut one as I adore anything that smells like coconut and it contains coconut oil so is also moisturizing. On first appearance you might think this brown paper bag would need binning and the product decanting into something a little tougher but you'd be wrong. This pouch is water proof and re seals itself with the greatest of ease. The size is also rather handsome 200g and at £13.95 with free p&p I'd say that's a pretty good deal. Only a pinch is needed for each limb but I do like to be indulgent and slather this coconut dream all over. Afterwards I am left with soft sweet smelling skin. I also use this on my face as I have drier skin but if you are acne prone the original will be right up your street. Not into coconut? Fear not. 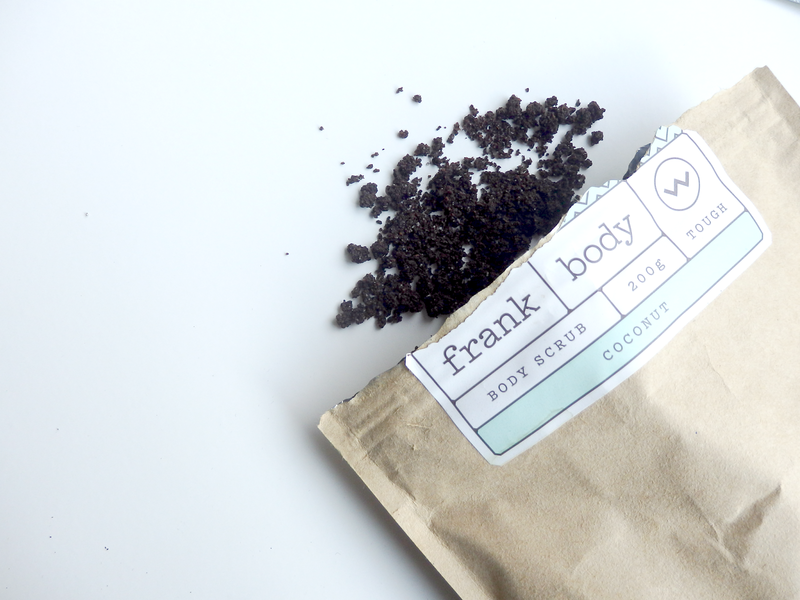 Frank body have this product in their original coffee scrub, cacao and peppermint. It isn't like me to try anything that's a wash I have always leaned towards to cleansing balms/oils but missed the convenience of a splash off product when I am feeling lazy. This marries the two. On first arrival you will see a beautifully packaged product. A brown card tube with cheeky quotes encases this rubberized pump bottle. Firstly it has a pump - every cleanser should have a pump. It's so easy. Secondly you will clock the colour. 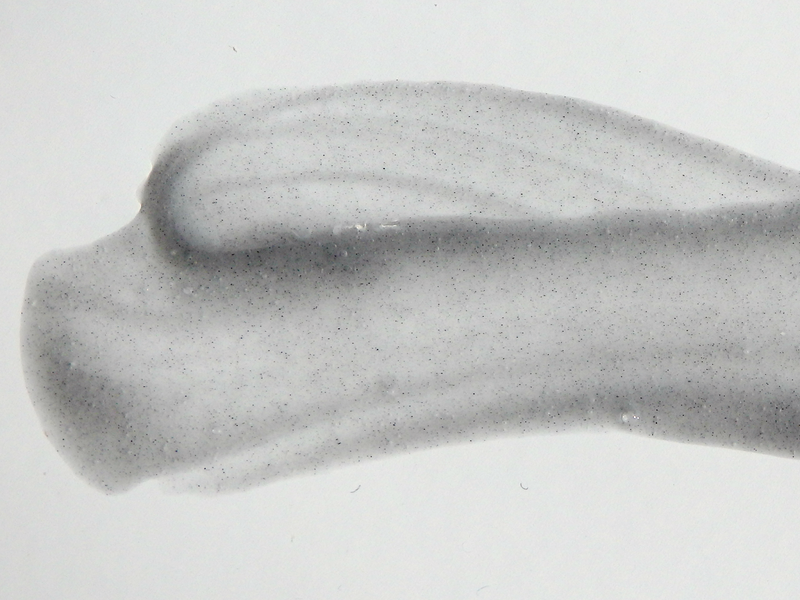 A grey cream/gel. The scent is 'natural'. Mild coconut and almond oil with a hint of patchouli. Thirdly you will note the ingredients list. This is what sold the product to me. Balancing charcoal, moisturizing coconut oil, almond oil and shea. Echinacea and green coffee bean extract. Oh and not forgetting forth - it removes make up! I double cleanse in the evening and even my stubborn mascara is gone. You are left with soft cleansed skin. This product can be used onto dry skin, it appears creamy and thick where you can then remove it with a hot cloth or you can add water to dilute and use more like a rinse in the morning. Also I'd like to point out that Frank Body do not test on animals - only on babes. So if you can't already tell I have fallen pretty hard for Frank body and would say I most definatly am an advocate of the #frankeffect.